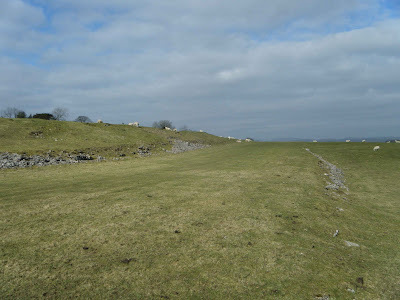 The remains of Kendal Race Course are to be found to the West of Kendal, at the foot of Scout Scar. 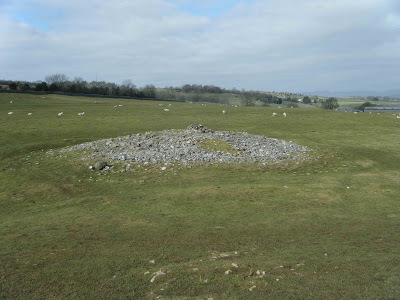 There is public access across the middle of the race course, via a public footpath that takes you from Brigsteer Road, across Bradley Field and then to the ridge of Scout Scar. The race course is very easy to see in various places, with the route of the course laid out on top of a raised earth platform that has survived in places. 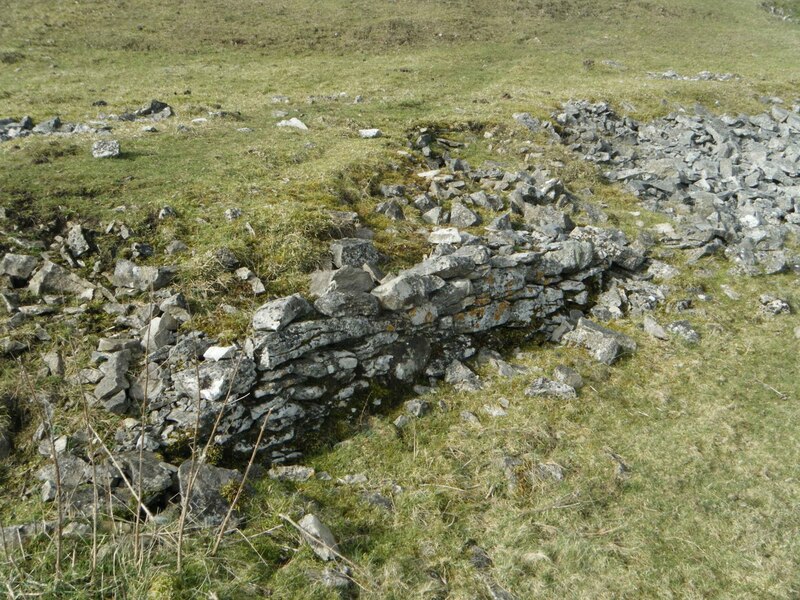 There are also the remains of stone walling, most likely built into the banks on the West side of the race course, to shore up places where race goers could stand and watch the day's events. Above. View of the entrance to the Race Course at the North East corner. The one mile race course was created by subscription, with money being raised by wealthy locals. An area to the West of Kendal called Fisher's Plain was selected, as it was in easy reach of the town and provided a good flat plateau on which to create the race course. 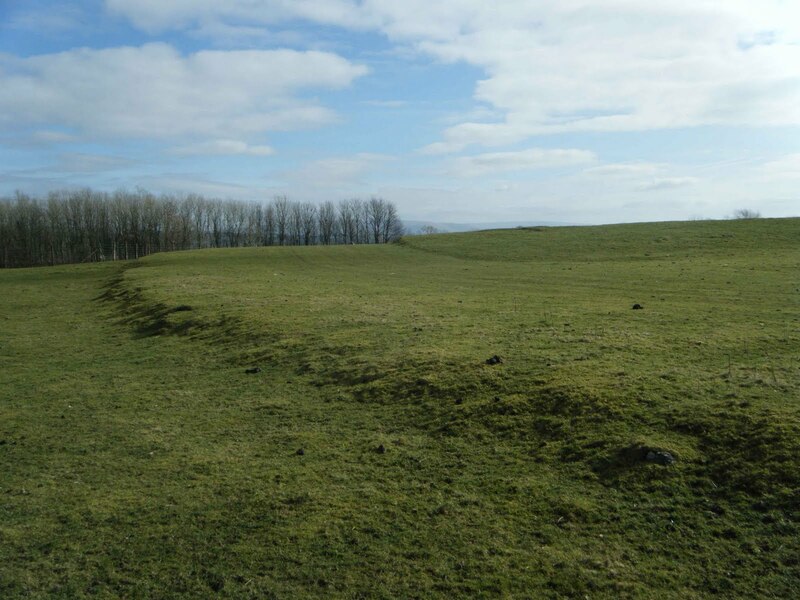 Before the course was created, Fisher's Plain was popular with locals for taking walks, as it provided great views of Kendal and the Howgill fells beyond. Above. The North East turn. The first race meeting was held on the 7th of August 1821, and thereafter meetings were held yearly in the last week of June. The three day meet was held each year until about 1830. The main race held here, was the Kendal Gold Cup, with a first prize of £50....a considerable sum for the day. Above. The North East turn from the East. There was no meeting in 1823 because of the Reform Bill crisis, but it was used as the start of the Kendal Steeple Chase. Steeple Chases continued until around 1850, while the yearly races had already ceased to take place in about 1839. At this point, materials from the grand stand were removed and sold off. Above. Another view of the North East turn. The race course was used by the Kendal\Westmorland Yeomanry for practice from 1847 for a few years. Above. The one remaining finish post? 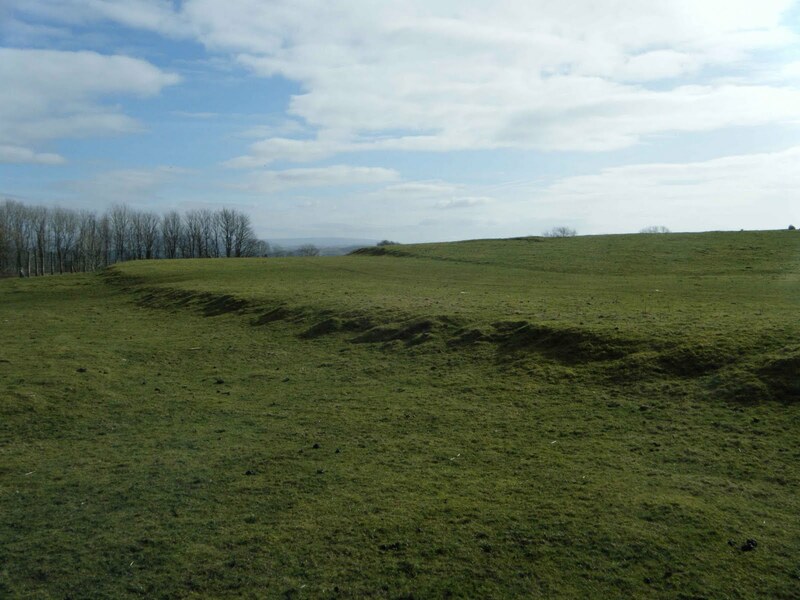 From around 1891, Kendal Race Course Golf Club was established, with a six hole course established over the now disused race course. The golf club moved from here in 1896, to establish a more permanent course elsewhere. Above. 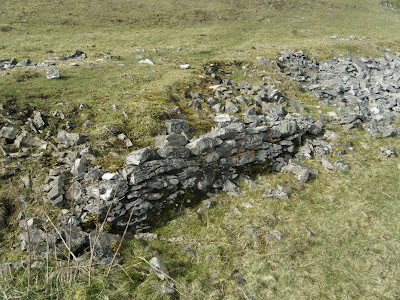 Remains of stonework used to shore up the bank where spectators would have watched the races from. A few races were held during World War I, but on the whole the course now lay abandoned. Maps dating 1863, 1898 and 1899 still show the race course. Later maps, dated 1914, 1920 and 1938 do not show it at all. The current Ordnance Survey map shows it as a dotted outline in the field. Above. Looking North on the start finish straight. 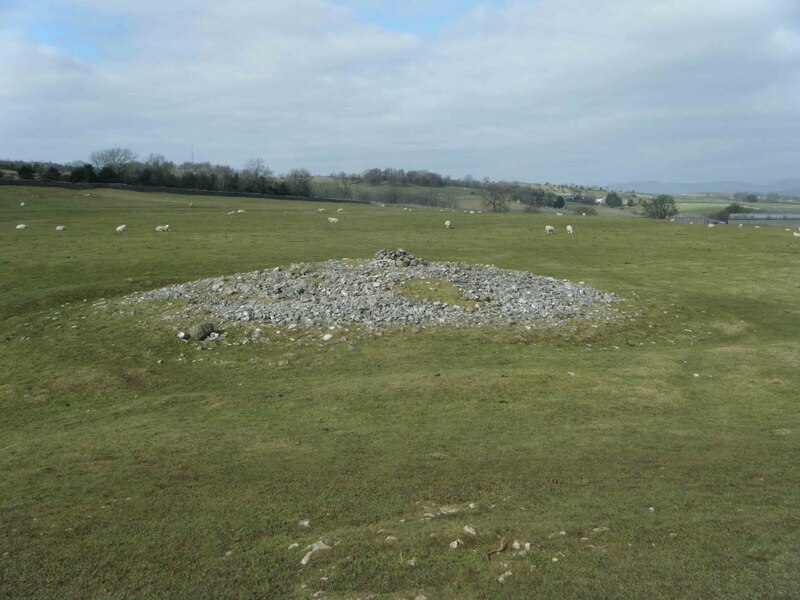 The following photo shows what I think may be the remains of one of the race course buildings...however, Tom Clare, in his book Prehistoric Monuments of the Lake District, thinks this may in fact be the site of a prehistoric round cairn. 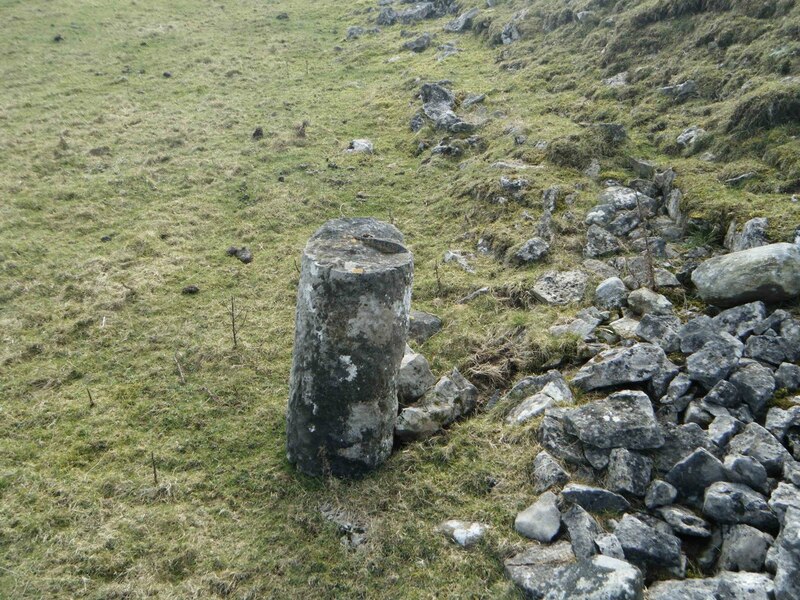 I can't find this particular feature marked on any old maps as a cairn, and therefore feel it is some remnant of the race course. Above. Rubble remains of a building in the centre of the race course? Race meets were held here in 1922\23 for trotting races, and the site was briefly revived during the early 1990s, but no further races have been held since then. We walked along the footpath on the northern end of the racecourse last weekend (October 15, 2011) and as we passed the farmhouse there noticed a white board on which were printed the words: "Bookmakers and other unauthorised persons are not allowed in the Paddock." It didn't seem particularly old but probably earlier than the 1990s.